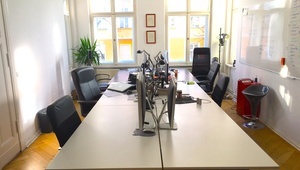 We are offering 1-4 desks in an office in Lichtenberg (near Friedrichshain) with direct connection to the S-Bahn (S41;S42). - The price is for 1 desk with the maximum of 4 desks. 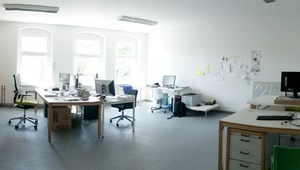 - Desks and chairs will be provided. - Internet connection will be provided.